The Series B Hog Brush range from Pro Arte is hugely popular with oil painters as they offer premium quality at an economical price. 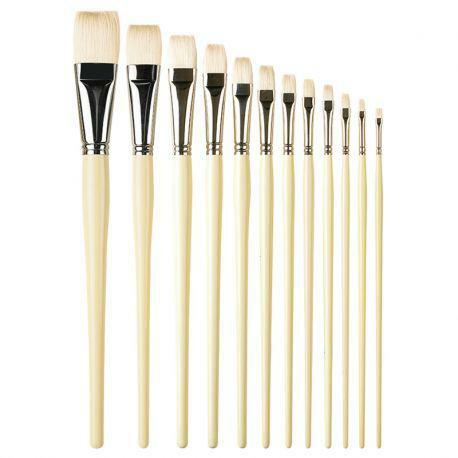 Each brush is made from a high grade of Chinese Chungking bristle similar to Series A brushes. 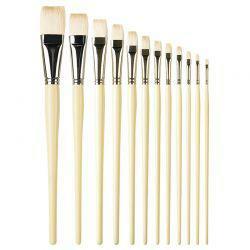 The brushes have seamless nickelled brass ferrules and long cream polished wooden handles. Each set comes in a handy plastic wallet which protects and keeps them all together. These are available in Round, Short Flat, Long Flat and Filbert bristle shapes.